Reigning champion van Gerwen is bidding to claim his third title in four years in the famous double-start tournament, and continued his relentless quest with a 4-1 victory over Webster in the last four. Webster has enjoyed reaching his first major semi-final for almost four years and shared the opening two sets with van Gerwen, who found another gear to claim nine of the next 11 legs as he swept into the final. Webster kicked off the game with a 120 checkout and took the opening set to a decider only for top seed van Gerwen to move ahead on double 16. The Dutchman then led 2-0 in the second only for Webster to battle back to level as an 82 finish forced a decider, which he won with a sensational 103 checkout as van Gerwen waited on 32. However, van Gerwen stamped his authority on the match by taking set three without reply with the aid of two 14-dart finishes, and came from a leg down to win the fourth 3-1. He then took out finishes of 154 and 124 to lead 2-0 in set five, and though Webster replied on double nine, a 74 checkout completed van Gerwen's clinical win. Scottish ace Thornton, the number seven seed, won through to his first partypoker.com World Grand Prix final with a gutsy 4-2 comeback win over Mensur Suljovic. Thornton found himself 2-1 down to the tournament's surprise package as Suljovic, the Austrian ace who has reached his first major semi-final, continued his superb run of form. Suljovic landed a 108 finish to take the opening leg before winning the set 3-1 with Thornton edging the second in a deciding leg after the Austrian hit back from 2-0 down to level. Thornton took out a 140 finish in the third, only for Suljovic to take the set 3-1 to regain the edge - but the fourth went to the former UK Open champion before he claimed a key fifth set 3-1 against the throw. Suljovic took the sixth to another deciding leg, but Thornton landed his 11th 180 of the game to leave 56 before hitting tops to complete a 14-darter as he booked his spot in the final. Saturday's final will be preceded by the final of the Tom Kirby Memorial Irish Matchplay championship between Mick McGowan and Tom Biggane, with the winner qualifying to compete in the William Hill World Darts Championship. Tungsten darts already become the only choice of most professional players, because they found its value are far more than price. It’s all known that tungsten is a high-density metal, so it makes tungsten darts smaller than other materials (in the same weight). Stoke star White defied an amazing 11 180s from Anderson in their four-set second round with eight maximums, but more importantly he out-doubled the Scot in both starting and finishing to claim the 3-1 win. White won the game's opening set 3-1 before Anderson took the second 3-2 in a high-quality set which featured seven 180s and two 160 starts from the number two seed. The third set, despite five more maximums from Anderson, went to White 3-2 as the Stoke thrower followed up a 105 finish in leg three by taking the decider on tops to move 2-1 up in the contest. Anderson battled to force a deciding set by sharing the opening four legs of set four, but crucially missed two darts at tops to allow White to hit the same bed and seal his win. Thornton won through to the last eight in the double-start event for the second time with a fine 3-0 win over Justin Pipe in Wednesday's opening fixture, as he followed up a straight sets first round win over Daryl Gurney with another memorable win. After the Scot edged a tight opening set 3-2, finishing 97 in the decider, he raced clear by winning the second without reply, taking out 127 and 120 in successive legs to double his lead. Pipe shared the opening two legs of the third, but the 2013 semi-finalist saw his chances ended as Thornton took the next two legs to seal his last eight spot. Van der Voort followed up his victory over Phil Taylor in the first round with another straight sets triumph, as he overcame Terry Jenkins 3-0. The Dutch ace capitalised on six missed doubles from Jenkins to win the opening set without reply, taking out a 121 finish of his own in the process, before edging a tight second with a brilliant 149 checkout. He then opened the third with another huge finish by taking out 141, before double eight moved him to the brink of victory, and though Jenkins took out 101 as he hit back to level the set, a 96 finish sealed van der Voort's place in the last eight. "I was struggling and I didn't play particularly well, but Terry was in more trouble than me and I took full advantage of his mistakes," said van der Voort, who now takes on Mensur Suljovic. "In the first set he was nowhere me so I knew he was struggling, and if you finish the second set you're 2-0 ahead and the pressure is on him, so the 149 was a really good finish. "Mensur has beaten two top players so I have to be at the top of my game and play better tomorrow to beat him. As long as my game's good, we'll see what happens." Thursday's quarter-finals also feature reigning World Grand Prix champion Michael van Gerwen up against Jamie Lewis and the battle between former Lakeside Champions Mark Webster and Jelle Klaasen. 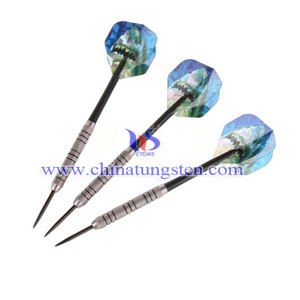 Tungsten darts become the most popular darts among professional players, because tungsten darts are made of high-density metal, so they can be smaller than darts with other material. Besides, tungsten darts have delicate knurling, which make them worthy of being collected. The pair won through from a field of almost 200 players at Hull City Hall to claim two of the four BDO qualifying places on offer, with a further two spots to be decided at the European Qualifier later this month. Fordham was the 2004 Lakeside Champion and is also a former World Masters champion who also had a two-year stint on the PDC circuit, but celebrated his return to form by securing his place at the Wolves Civic for the Sky Sports-televised event from November 7-15. Fordham defeated Ivy Weishlow, Craig Robertson and Neil McDougall in the early rounds before knocking out Canada's Jeff Smith - a Lakeside Championship semi-finalist in January - in the last 32. He then overcame Wales' Tim Jones to reach the last eight and edged out Northern Irish pair Darren Clifford and Neil Duff with 5-4 victories to seal his Wolverhampton spot. American ace Butler, meanwhile, overcame former Grand Slam of Darts champion Scott Waites 5-3 in their decider as he won a place in the 32-player tournament. He began the day with wins over Barry Copeland, Steven Warnock, Paul Green and Sean Fisher before then knocking out top seed Glen Durrant 5-4 in the last 16. He also went all the way to a deciding leg against Wayne Warren before his victory over Waites saw him progress to Wolverhampton. American ace Butler famously won the World Matchplay back in 1994 and is more recently a World Cup of Darts representative for the USA alongside Darin Young. The duo join BDO stars Scott Mitchell - the reigning Lakeside Champion - Martin Adams, Martin Phillips and Geert De Vos in the SINGHA Beer Grand Slam of Darts, with the final two BDO qualifying places to be finalized. Whether you are newbie or a professional tungsten darts player, having the right tungsten darts equipment adds to the fun and thrill which this simple and fabulous game has to offer. If you really want to have unlimited fun while playing tungsten darts, you should begin by having your own set of tungsten darts. That means more games for you with faster turnovers. Besides, getting your own equipment for tungsten darts can develop a consistent throw and technique which increases your chances of a better game. Choosing the right tungsten dart equipment requires correct information and understanding. 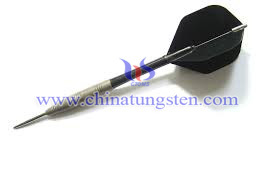 One will come across two main varieties of tungsten darts tips: the steel tip and the soft tip. The steel tip tungsten darts are the traditional tungsten darts with pointed tips. On the other hand, the soft tip tungsten darts are made of polyester and plastic which are flexible in nature. The soft tip tungsten darts do not damage a board the way a steel tip dart would. The wings of the dart are known as flights and are responsible to provide the stability to a dart’s path. The flight will differ in performance depending on how a person throws the dart. You will find that today the flights are made of synthetic materials like plastic. The dart board is your next most important dart equipment on your list after the darts. The bristle board and the electronic board are the basic two kinds of dartboards in the market. One can come across other variations too in the market. 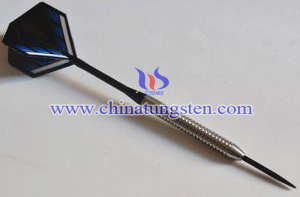 Choosing tungsten darts equipment requires great knowledge and experience which comes only with time. When buying your own set of tungsten darts, remember, it is like buying clothes. Hence take the time and effort to go visit a store. You will find that most tungsten dart stores support a dartboard set up where you can practice some throws to be able to get a feel of the tungsten dart. Most players will possess a set of two or three darts although some tungsten dart enthusiasts have been getting as many as ten. Get the right feel for the grip while trying out the tungsten darts. As the way each person performs to a grip is unique, it influences the way one holds and throws a tungsten dart. Grooved or patterned grips are a clear favorite with experts as they increase your chances of securing an accurate hit, besides a steady control and consistent throw. York's Quantock won his first career title Saturday's opening tournament, whitewashing Paul Rowley 5-0 in the final of Event 13. The 24-year-old has followed father John onto the PDC circuit, initially competing on the Development Tour in 2012 before returning this year, with his improved results including one previous Challenge Tour final in July. Although he lost out in that event to Dean Reynolds, Quantock went all the way to take the £2,000 title in Coventry to kick off the final Challenge Tour weekend of the year in style. He opened the event with a whitewash of Anthony Hayman before defeating Will Harwood and Alex Roy 5-3, and edged out Karl Merchant in a decider to reach the quarter-finals. He then overcame another young prospect, Shaun Griffiths, 5-3 in the last eight before edging past Peter Hudson 5-4 in the semis, but overcame Rowley in comprehensive fashion in the final. Rowley's run had seen him defeat Terry Roach, Stuart Stubbs, Ian Lever, Ben Simpson, Kevin Thomas and Jason Marriott as he picked up £1,000 in prize money. Hudson gained revenge over Quantock when the pair met again at the semi-final stage in the day's second tournament, Event 14, with the Eccles ace taking a 5-1 win to deny the York thrower his chance of completing a daily double. Hudson then edged out Ryan Palmer 5-4 in the final, having earlier defeated former World Matchplay winner Peter Evison, former World Youth champion James Hubbard, Brett Claydon, Ryan Searle, Michael Beal and Darren Weaver. The win is 31-year-old Hudson's first PDC title, and his best run since losing his PDC Tour Card at the end of 2014 as he took home the £2,000 first prize. Palmer's run to the final saw him pick up £1,000 after defeating Martin Thomas, Ben Burton, Michael Reilly, Matthew Dennant, Lee Evans and Danny Pinhorne. Most professional players would choose tungsten darts to get a high score in matches, for the reason that tungsten darts have high-density and wearing-resistant characters. Jenkins was joined by sixth seed Dave Chisnall, who looked impressive on his way to victory over Irishman William O’Connor. Chisnall took a 3-0 lead before O'Connor stopped the rot by winning three of the next four legs, but sixth seed Chisnall kept his composure and averaged 99.34 as he closed out a 6-3 win. Fourth seed Ian White was made to work for victory by rising Belgian star Dimitri Van den Bergh, finally prevailing 6-4. The first four legs were shared before Van den Bergh broke with a 121 checkout, only to be immediately broken back by White, for whom a 108 finish to hold throw in the ninth leg proved decisive with the youngster ready to pounce. Another player in the world's top ten, Robert Thornton, avoided an upset by defeating Maik Langendorf 6-3, sealing victory with a 127 checkout. Thornton seemed to be having few problems dealing with the European Qualifier as he took a 3-1 lead, but Langendorf showed what he was made of to roll off back-to-back legs and draw level before the Scot re-asserted his superiority. Young Dutchman Benito van de Pas was the first man to book his place in the last 16 after he defeated Croatian number one Robert Marijanovic 6-4. Marijanovic hit a 170 checkout on the way to a 3-1 lead and also weighed in with four 180s but he spurned 15 darts at a double and van de Pas dug deep to edge ahead in the ninth leg before checking out tops for the win. Brendan Dolan produced the comeback of the session, ousting Mark Walsh in a deciding leg in a clash where both players struggled throughout. With averages hovering around 80, Walsh found himself 4-0 up before Dolan finally secured a dart at a double, taking out 101 to register on the scoreboard. Walsh responded in kind with a 101 finish of his own to move a leg from victory but spurned three clear darts at tops in leg seven as Dolan finally broke the throw and then made his opponent pay by reeling off the last four legs to justify his status as fifth seed. Justin Pipe, who won the Austrian Open three years ago, ensured he would be in action on Sunday by seeing off the challenge of Tony Newell. Pipe landed a 170 finish to take the sixth leg and his superior experience proved telling as he held his nerve in the decider, kicking off with two 140s to edge through 6-5. The European Darts Matchplay concludes on Sunday at the Olympiahalle in Innsbruck with the last 16 in the afternoon and last eight onwards in the evening. Another seed who tumbled out of the event was Jelle Klaasen, with the 15th seed coming up against an inspired David Pallett. Pallett had impressed in his first round win over Jamie Caven, and against Klaasen he rattled off the first three legs and was on a nine-darter after six darts in the fifth, where his stats showed an average of over 112. Klaasen stopped the rot with a 78 finish to cut the deficit to 4-2 and stayed in the game with a 122 on the bull in leg eight, but Pallett stayed composed to seal a fine victory, eventually recording notable statistics of a 104.83 average and 60 percent checkout ratio. "That's a fantastic average – I've been playing well for a while now but I need to kick on and thankfully I took my form in practice on to the stage," said Pallett. Peter Wright enjoyed a straightforward victory over Darren Johnson beating the Yorkshireman 6-2 to set up a meeting with Benito van de Pas. Wright took the first two legs with rapid ease before Johnson spurned numerous chances to get back into the match in leg three. Johnson held his throw in the fifth leg to get on the board and took out 90 to win the seventh, but he couldn't otherwise trouble the third seed, who sealed a 6-2 win with double 16. Vincent van der Voort saw off the challenge of Andy Hamilton, sealing victory with a champagne moment as he nailed two bulls-eyes and double 16 for a 132 finish to complete a 6-3 win. Hamilton couldn't repeat his ton-plus average of Friday as he dropped to the low 80s despite a 124 check out in the opening leg, and van der Voort's deadly finishing of six successful attempts from eight was enough to set up a last 16 match with Ian White. Mervyn King had earlier progressed past Mickey Mansell 6-4 in the first match of the evening. King opened with a 116 checkout and then in leg six took out a ton to move 4-2 in front, but Mansell wasn't in the mood to roll over and clawed the match back to all square again before his reached in to his reserves to take the next two legs and secure the win. The afternoon session had seen Kim Huybrechts race into the last 16, taking just 13 minutes to defeat Darren Webster 6-2 at the Olympiahalle in Innsbruck. The Belgian Premier League star barely drew breath as he took a 4-0 lead before allowing Webster to make his mark on the scorecard with back-to-back legs, the second of which came after Huybrechts had opened with successive 180s only to follow up on his attempt for the perfect leg with a score of just 21. But Huybrechts didn't let the setback put him off as he checked out 84 to finish with the afternoon's highest average of 101.62. "It didn't feel that good but I'm happy with it and to get a win too," Huybrechts said. "Last week in Muelheim was a good tournament for me and I've averaged over 100 three times in a row now and that means I feel good, which is important. "Hopefully tomorrow will go well for me too." Terry Jenkins survived a scare against Kevin Painter to confirm his spot in the last 16 alongside Huybrechts. Painter notched an early 167 finish and broke Jenkins' throw with a 104 checkout to lead 4-3, but the nine-time major finalist fought back and held his nerve to ensure a Sunday return. 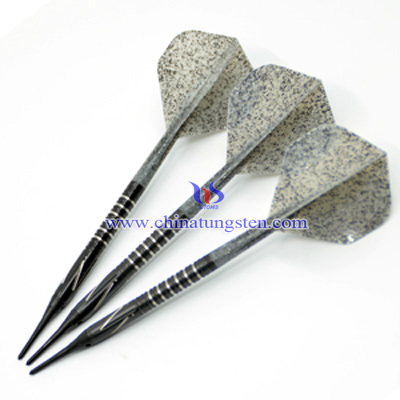 As for professional games like European Darts Matchplay, we recommend tungsten darts. Nowadays, tungsten darts are the most popular darts among professional players. Because they found its value are far more than price. It’s all known that tungsten is a high-density metal, so it makes tungsten darts smaller than other materials (in the same weight). 21-year-old Austrian Rodriguez lost the first leg but brought the local fans to their feet by reeling off four legs in succession as he punished Whitlock for a spate of missed doubles. Whitlock held his nerve to finish with 80 in leg six but the respite was temporary as Rodriguez pushed further ahead, winning leg seven after Whitlock missed an open double 10 bed with all three darts. The dogged Australian took leg eight comfortably, but on his own throw Rodriguez sealed victory with the help of his third 180 as he moved into the third round on Sunday afternoon. "It felt great having the crowd supporting me like this," beamed Rodriguez. "I didn't feel there was pressure on me because everyone was supporting me and I am happy to get through." Five-time World Champion Raymond van Barneveld, who had come through the European Qualifier for the event, produced a clinical display to dispatch Stephen Bunting 6-2. Breaks of throw in the third and seven legs, and a 50 percent checkout record were enough for the Dutch legend who averaged 105.64. Van Barneveld will meet compatriot and top seed Michael van Gerwen on Sunday, after the world number one defeated Belgian Ronny Huybrechts in their second round contest. Van Gerwen's average over the first three legs touched 120 as he took Huybrechts to task, but the Belgian stemmed the tide by winning three legs of his own before double three took van Gerwen to within a leg of victory and a 62 check-out saw him over the line. Elsewhere, Alan Norris produced a sensational comeback to defeat second seed and last week's European Tour winner Michael Smith. Smith, fresh from lifting the trophy in Muelheim, stormed in to a 4-0 lead and looked set for a routine path in to the last 16 before missed doubles proved costly. He missed eight attempts at tops as Norris capitalised with a gutsy victory to progress through to the final day of a European Tour event for the second time. Smith had a bounce out of the bull for a 170 finish in the third leg, which he won anyway, but after he wired tops for a 107 in the fifth leg, Norris stepped in and capitalised on his opponent's wasteful finishing. "I got myself in front after a poor start and I performed better than yesterday in front of a fantastic crowd, so on to the next one," Norris said afterwards.